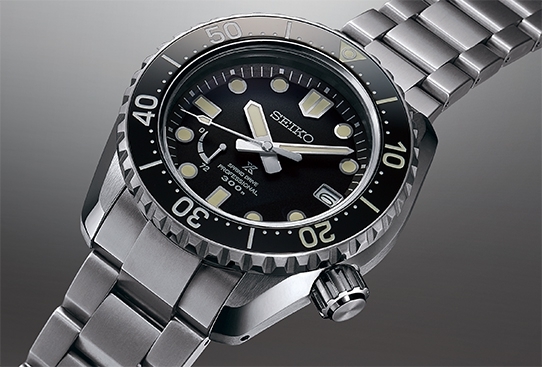 Ever since it released its first diver’s watch in 1965, Seiko has created many watches that have found favor among sportsmen including professional divers to explorers. 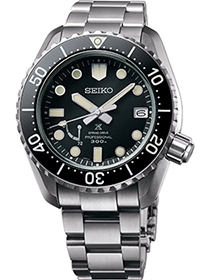 Among these many creations, the 1968 Seiko Professional Diver’s watch struck a special chord with successive generations of sports watch enthusiasts, thanks to its robust design and high functionality. Today, the spirit of this classic sports watch is expressed anew in a line of watches for sport on land, in the sea and in the sky. The line’s name, LX, hints at the Latin word for light and is a subtle nod to the way that light is reflected in the broad, flat surfaces of each case. When, at the 2018 Grand Prix d’Horlogerie de Genève, a Prospex re-creation of the 1968 Professional diver’s was honored with the Sports Watch award, the Prospex design team allowed themselves a moment of profound satisfaction. Not only had their creation won the highest possible award for a sports watch but the world’s respect for the design on which the LX line is based was, once again, amply demonstrated. Evolution in design and function. Continuity in character. The design of the Prospex LX line strikes an unusual balance. 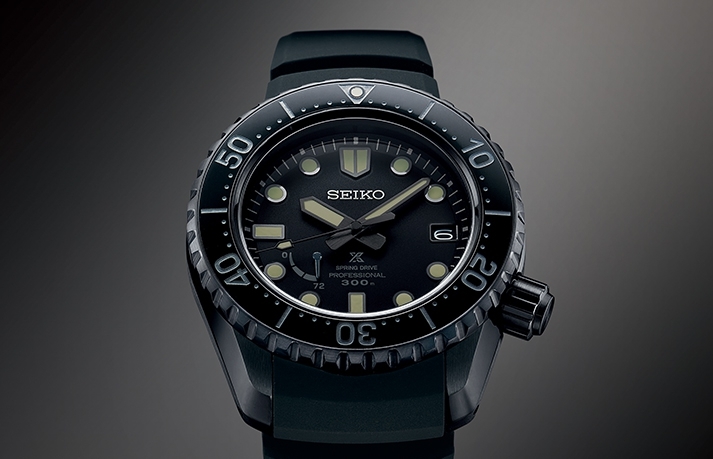 On the one hand, it is true to its heritage and its overall appearance reveals its strong link with the 1968 professional Diver’s. On the other, it is thoroughly modern in its execution. The center of gravity of the case is lower so that the watch sits comfortably on any wrist. The upper side of the case is set at a more pronounced angle to allow the Zaratsu-polished surfaces to shine more brightly. 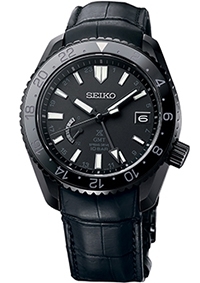 Most of all, the contemporary feel of the LX line is revealed in the use of Seiko’s advanced 5R Spring Drive caliber, which offers one-second a day precision alongside high levels of shock and temperature resistance. 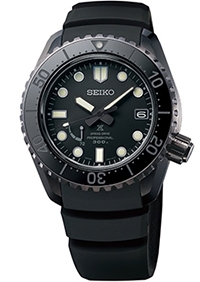 With these attributes, 5R is the perfect caliber for use in all types of sporting and adventure environment; it has been worn successfully both in space, when it travelled to the International Space Station and was worn on a space walk and at the top of the world, when Yuichiro Miura wore a Spring Drive watch on his third successful ascent of Mount Everest. 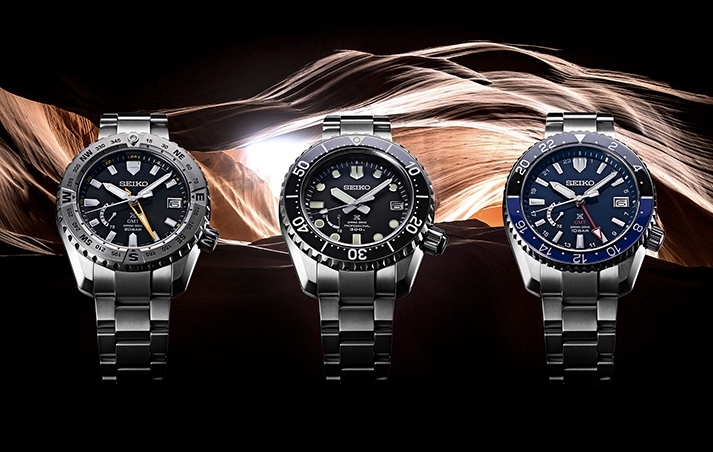 All watches in this first collection have the robustness, legibility and reliability that every sport or adventure demands but different functions have been incorporated for three specific activities. 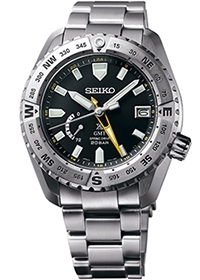 The land version has a GMT hand and a compass bezel for direction finding. 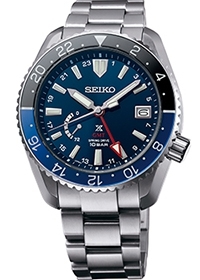 The sky version also has a GMT hand and a bi-directional bezel for showing time in a third time zone and the sea version has a uni-directional bezel to indicate the length of diving. In addition to three versions in a light color titanium, the LX line offers a special series of three all-black interpretations. Stripped of all color and reduced to its essentials, the simplicity and strength of the LX design asserts itself in this quietly dramatic design. The case is treated with a black super-hard coating and the flat surfaces are Zaratsu polished. The sky and land versions are presented on leather straps while the sea version is offered with a silicone strap. 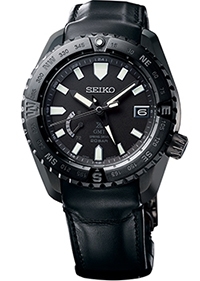 All six watches will be available at selected Seiko Boutiques and outlets around the world in July 2019. Born in Yamagata, Japan, 1959. Ken has worked as a Chief Designer for General Motors, a Senior Designer for Porsche AG, and a Design Director for Pininfarina S.p.A., being responsible for Ferrari Enzo, Maserati Quattroporte and many other cars. He is also known for numerous products such as motorcycles, furniture, robots and architecture. 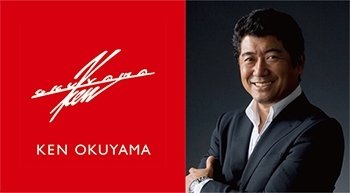 In 2007, KEN OKUYAMA DESIGN was founded providing design business consultancy to many companies. In 2013, He was appointed to officer of Yanmar Holdings Co., Ltd.
His recent works include Shinkansen, trains, tractors, watches, etc. The company also produces and markets limited production automobiles, eyewear, interior products under the KEN OKUYAMA brand. Ken also produces cars, eyewear, interior products under his original brand. He is currently a visiting professor at several universities and also publishes many books.